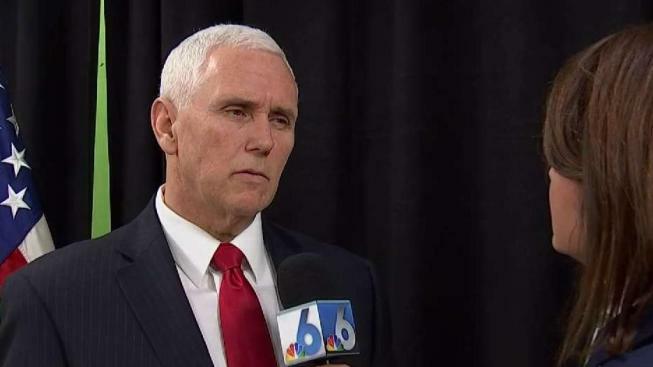 NBC 6 anchor Jackie Nespral got a chance to speak with Vice President Mike Pence on the United States' response to the presidential crisis in Venezuela. On Friday, Pence made a South Florida stop to shine light on the Trump administration's policies toward Venezuela. He met with exiles from the local Venezuelan community and promised to support the people seeking freedom in the South American nation. For an extended look at the one-on-one with Vice President Pence, tune into NBC 6 Impact with Jackie Nespral at 9:35 a.m. Sunday, Feb. 3.